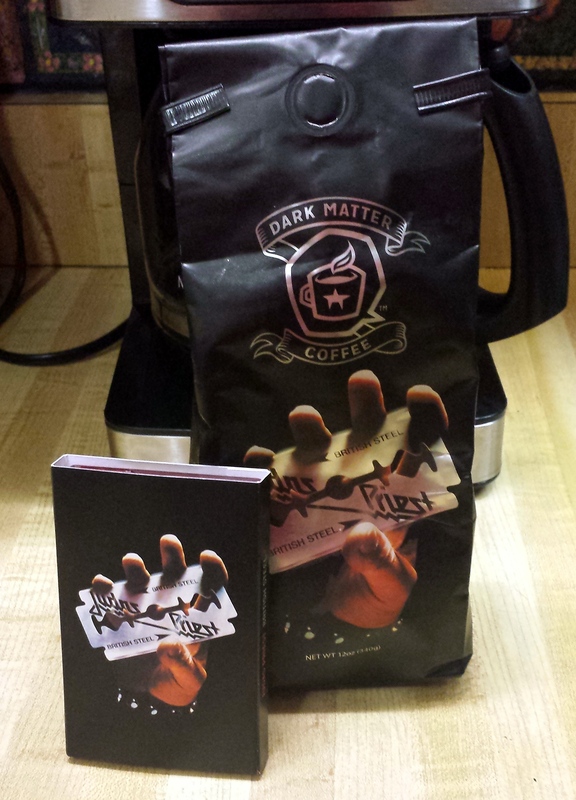 With a few extra bucks to spare, I decided to order Dark Matter Coffee’s limited edition Judas Priest ‘British Steel’ coffee. The bonus was that each order includes a cassingle featuring “Grinder” (What else?) from British Steel and “Snakebite” from the bonus edition of Redeemer of Souls. What can I say? I’m no coffee connoisseur but if you’re a big fan of Judas Priest and coffee and want the cool exclusive cassingle, this is a must-buy. Head on over to DarkMatterCoffee.com and see if you can still order a bag! My order # was 6666! 17. Rocka Rolla – Yes, the band’s debut album is their worst, IMO. #SorryNotSorry That said, I don’t think it’s bad but I don’t think it’s very memorable. It’s really only notable because it was the band’s debut album; they were still finding themselves. 16. Jugulator – Most fans who can stand the Ripper era prefer this one, but I don’t. 15. Nostradamus – Said it before and I’ll say it again, this album is a bloated in every fashion possible. Trim it down to one disc and you’d have something decent, but as a double album it’s a bore and chore to sit through. 14. Point of Entry – An okay album with one excellent song (“Desert Plains”) that was nowhere near a follow-up worthy to British Steel. 13. Demolition – This is the Ripper-fronted album that has a greater number of songs that I enjoy. I have a soft spot for it because I bought when it was first released; it was my first “new” Priest album. 12. Turbo – A lot of people dislike this one but it’s a guilty pleasure to me and features a few great tracks. 11. Ram It Down – A harder-edged version of Turbo, it too falls under the category of being a guilty pleasure. 10. Angel of Retribution – Another album I have a soft spot for since it was Halford’s return to the group. I was very excited for this one. It was a good but not great reunion album. 9. 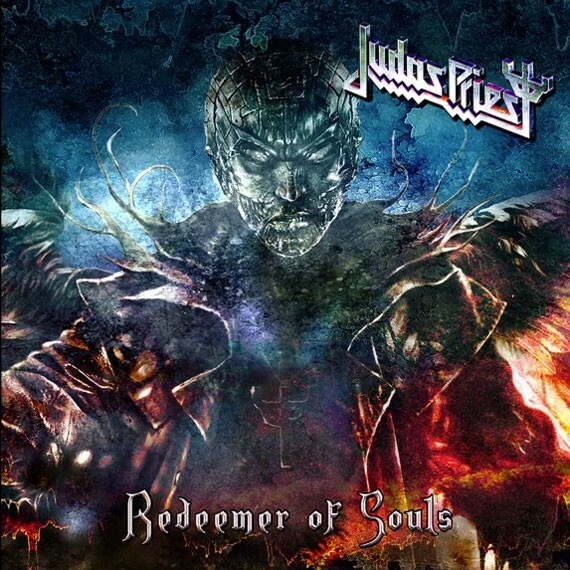 Redeemer of Souls – Given that this album was only released a few months ago, it’s hard to truly determine where it stands in the Priest catalog. I feel like it is definitely a top 10 album for the band. It’s certainly the best album the band has made since 1990’s Painkiller. 8. Sad Wings of Destiny – While the band’s debut didn’t offer up much of interest, their sophomore effort saw the band heading down a heavy metal road that would eventually end with them being crowned as Metal Gods. 7. Defenders of the Faith – Released between the classic Screaming for Vengeance and the controversial Turbo, this one delivered a few classics in its own right. 6. Sin After Sin – The very first Priest album I ever bought. 4. Hell Bent for Leather – …except this one wins out thanks to tracks like “Hell Bent for Leather”, “Before the Dawn” and “The Green Manalishi (With the Two-Prong Crown)”. 3. 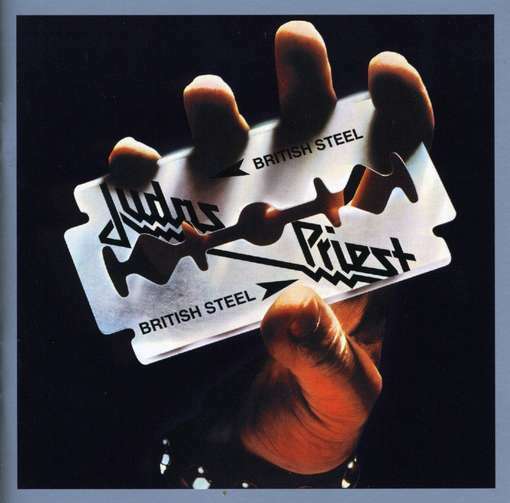 British Steel – I know there’s a strong case to be made for this being the band’s best releases, but there still some filler on this one. 2. Screaming for Vengeance – The band’s commercial breakthrough. I could go without ever hearing “You’ve Got Another Thing Comin'” for the rest of my life, but I’ll never get tired of “Riding on the Wind”, “Bloodstone”, “(Take These) Chains”, “Electric Eye” or “Screaming for Vengeance”. 1. Painkiller – This one, thought well-reviewed, still does not get enough love as far as I’m concerned. It’s the heaviest, fastest album the band ever did. A lot of people point to this album as having simple comic book lyrics, but who cares? Every track is an atmospheric heavy metal classic. It’s just too bad it was released in 1990 just as heavy metal was starting to slip a bit in popularity. 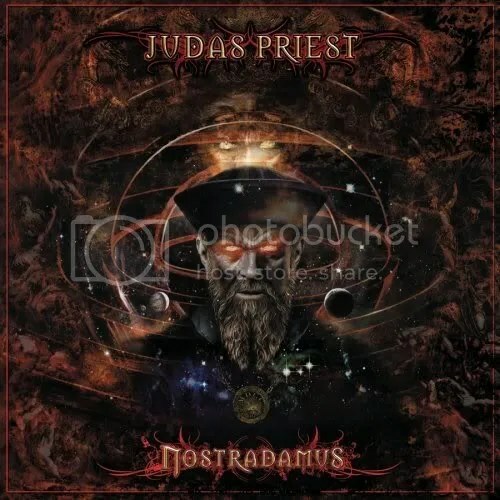 Since the release of the somewhat controversial Nostradamus six years ago, we’ve seen Judas Priest go on a “farewell” tour and also lose founding member K.K. Downing (he didn’t die, he retired) under still not quite clear circumstances. Well, I, for one never believed Judas Priest was going to call it quits. Does anyone really, ever? Though I wasn’t happy that K.K. was leaving, I was hoping that the addition of 31-year old guitarist Richie Faulkner might rejuvenate the band much the same way Scott Travis did when he came on on as drummer in 1990. Nostradamus isn’t a terrible album and it was a brave thing to do, but it was still a misstep and the band seemed to have lost themselves. Now, it’s possible that if Downing had stayed on then perhaps the band would’ve delivered an album similar to Redeemer of Souls, but who knows? All I know is that Richie gets a co-writing credit on all of the tracks alongside Rob Halford and Glenn Tipton. I’m glad he was allowed to jump right into the deep-end and contribute immediately, unlike how some “replacements” are treated. Tim “Ripper” Owens’ term in this very band comes to mind in regards to being creatively silenced or at least limited! Whether it’s the fact that the band has new blood or whether it was a conscious effort to deliver a much more tradition Priest album, the band nailed it with Redeemer of Souls. This really is a culmination of many eras of the band and despite the fact that the deluxe edition has a total of 15 tracks, this album is lean ‘n’ mean. It’s a refreshing back-to-basics approach after the overblown and overproduced Nostradamus. The deluxe edition includes a second disc that includes five great tracks and it is well worth picking up this version. “Snakebite”, “Creatures” and “Never Forget” should’ve been on Disc 1, but I could see how “Snakebite” wouldn’t fit. It’s a bit of a loose testosterone-fueled rocker; like a heavier Whitesnake. Overall, Rob still sounds great and the new twin axe attack of Tipton/Faulkner is a powerful and worthy guitar duo to pick up where Tipton left off with KK Downing. I figured the album would be good, but not this good. Easily the best album the band has released since 1990’s Painkiller. Well, we’re finally getting new Priest music some 6 years after their last release of original music. 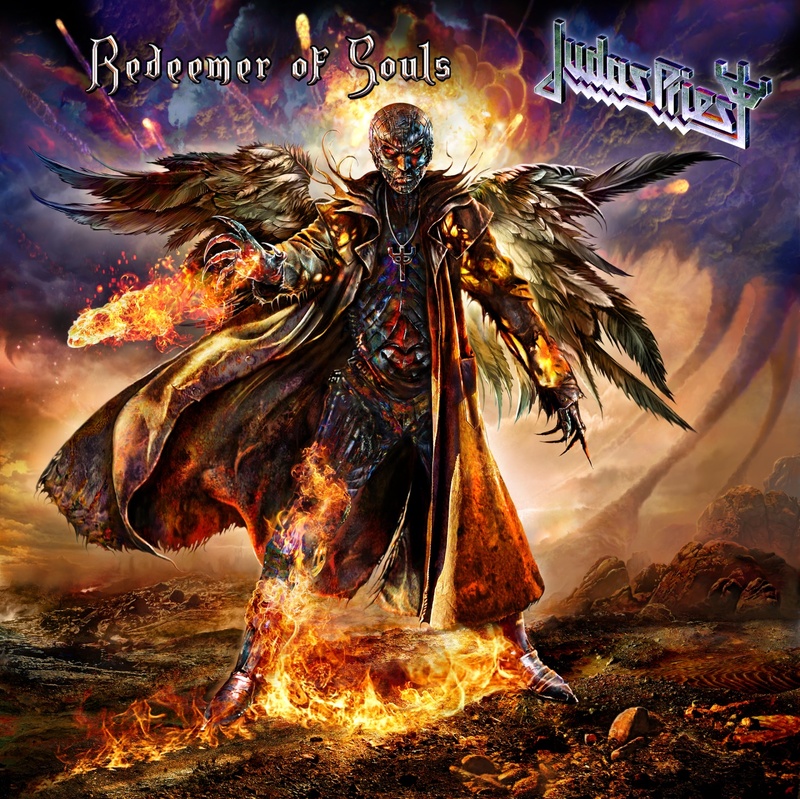 So far, all we’ve gotten to hear is the album’s title track “Redeemer of Souls” (the album itself is due to be released July 15, 2014 in America) but I thought it was worth talking a bit about. It’s important to note that KK Downing is no longer in the band and while his absence is disappointing and not how I would prefer things to be, I think this track is indication that Richie Faulkner is a fine stand-in to work alongside Glenn Tipton. For anyone afraid of what the band might release after having done Nostradamus, have no fear. “Redeemer of Souls” is very good metal track and Rob’s voice is in fine condition, better than I expected. In fact, he’s sounding better than he has in years. I wasn’t blown away by the song when I first heard it. My honest reaction was that it was a slightly generic slab of power metal. As I keep listening to it, I’m starting to like it more and more. It does not sound like Judas Priest throughout but you can still hear parts and go, “yes, that’s classic Priest”. I guess if you had to compare this song to an era from the band’s past you could go with Defenders of the Faith? Most feedback I’m seeing online ranges from “it’s okay” to “it’s good”. I think the song is better than anything from Nostradamus and I also think it compares to some of the best from Angel of Retribution. I’ve seen people say they hope the rest of the album is better than “Redeemer of Souls”, well if that’s going to be the case, I think Priest is going to deliver one heck of an album!